I.D., O.D. or jaw clamping – it&apos;s easy with the B-Top3 modular system. Everything fits together. With the MANDO Adapt segmented mandrel, you can change to perfect I.D. clamping in less than 2 minutes. 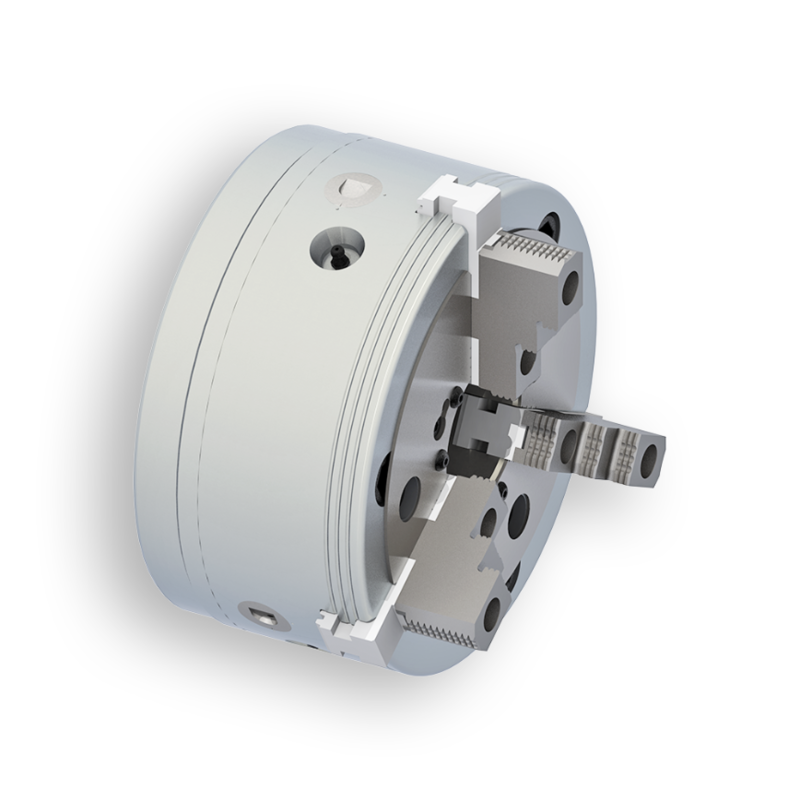 The SPANNTOP adaptation is the right partner if you have reached your holding power and accuracy limits for O.D clamping. And all without removing the chuck! B-Top3 basic clamping device also has its advantages: The fast jaw change with single-jaw unlocking mechanism and high repeatability is ideal for small lot sizes. Thus, in most cases machining the chuck jaw to size is unnecessary. Also the insert bushing system is configured for small lot sizes and maximum flexibility. It enables clamping devices to be conveniently adapted to your requirement: Closed with ejector, with spray nozzles, or with variable end-stop. Just the way you need it. And the innovative lubricating system ensures improved clamping force behavior of the wedge bar principle. You have never turned like this before.